In the previous article, we made sure that data in transit was 100% secure from end-to-end, device to cloud. We learned that by leveraging Progress Kinvey we have a turnkey solution ensuring data integrity, compliance, and robust performance. As we wrap up this series, we want to conclude with a topic that is critically important: securely authenticating and authorizing your app users. We are long past the days of passwords and passcodes being the standard in securely authenticating our app users. With biometric security capabilities (e.g. fingerprint and facial id) built in to most iOS and Android devices, our apps should be focused on leveraging these vastly more secure technologies. For fingerprint recognition, Touch ID is an iOS feature that allows users to unlock their devices with the tip of their finger. Android has an equivalent effectively known as "fingerprint scanning". Both are, of course, based on authenticating users via their fingerprints scanned before devices are unlocked. For facial recognition, Face ID is a system designed and developed by Apple for the iPhone X line. Face ID will likely eventually succeed Touch ID as the defacto biometric authentication technology on iOS devices. 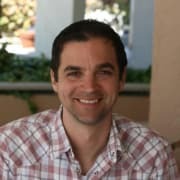 To use these biometric authentication options in your app, there is a fantastic plugin built by Eddy Verbruggen called nativescript-fingerprint-auth. TIP: Even though it's called a "fingerprint" plugin, it also supports Face ID on the iPhone X line of devices! Check out this tutorial for a walkthrough of using this plugin with NativeScript and a Progress Kinvey backend. The nativescript-fingerprint-auth is a great way to easily add biometric security to our apps. But what about using existing secure protocols and services to tie a verified individual to authorized roles in our backend systems? You've probably heard of OAuth before, as OAuth 2.0 is a commonly used industry-standard protocol for user authorization. Thanks to our extensive community of plugin developers, there is in fact a plugin for interacting with OAuth 2.0 in NativeScript, the nativescript-oauth2 plugin. The OAuth 2.0 plugin helps to simplify access to OAuth providers that support the OAuth 2.0 protocol (e.g. Microsoft, Facebook, and Google), but you can also roll your own (or even use your organization's own provider). Be sure to consult the plugin documentation for help getting started. For easier enterprise authentication, look no further than the Enterprise Auth template in NativeScript Sidekick. NativeScript Sidekick offers an Enterprise Auth template, as well as a handful of new features designed to help you connect to your authentication provider as quickly as possible. Powered by Progress Kinvey, the Enterprise Auth template guides you through the process of connecting to your provider of choice and makes it easy to customize the look and feel of your login screen. 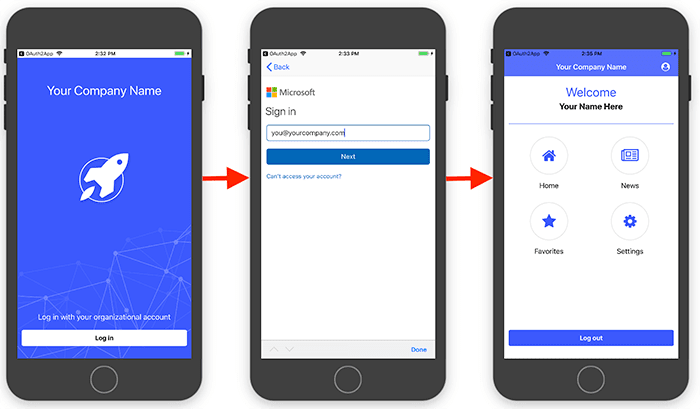 You can read more about using the Enterprise Auth app template here on the NativeScript blog, or even register for a free online course on NativeScripting.com that walks you through the usage. TIP: If you are rolling your own authentication system, you'll want to design a UI that is intuitive and as user-friendly as possible. We've put together a blog post and example app to show off some best practices for building your own awesome login screen with NativeScript. We've covered A LOT over the past four articles! We started out learning how to easily secure our source code, moved to making sure data stored locally is safe and encrypted, talked about some best practices for securing data over the wire, and concluded with some easy ways to make sure we are securely authenticating and authorizing our end users.